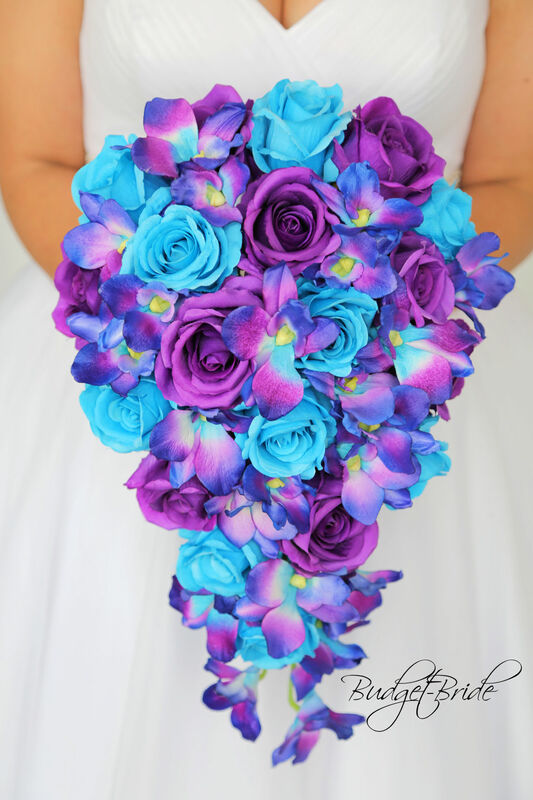 This stunning brides bouquet is a cascading bouquet made with Malibu and light purple roses accented mermaid orchids. 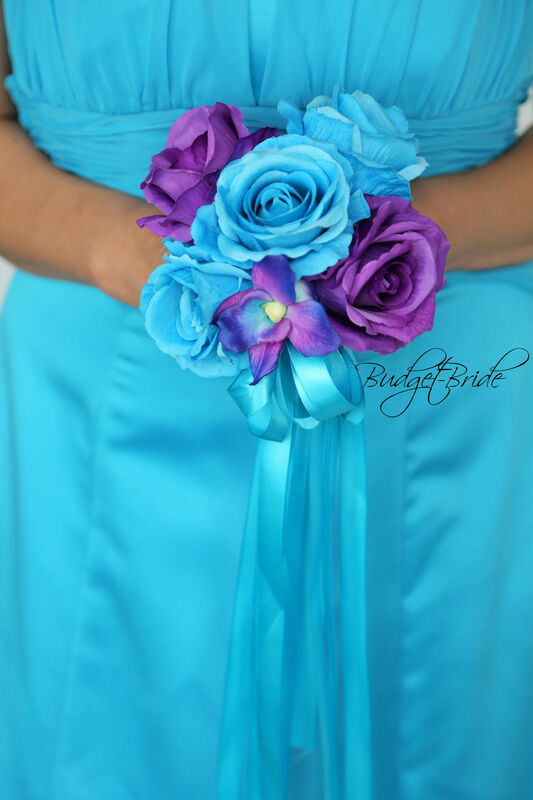 This bouquet is approx 10 inches wide and 16 inches long. 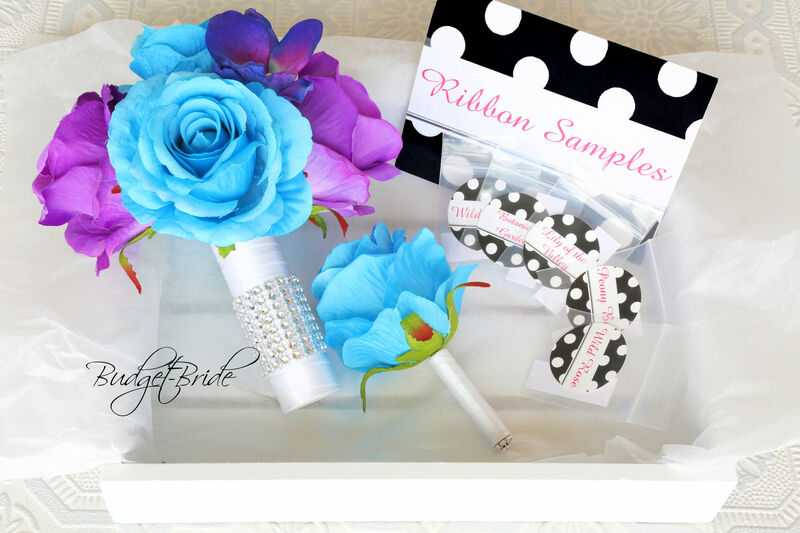 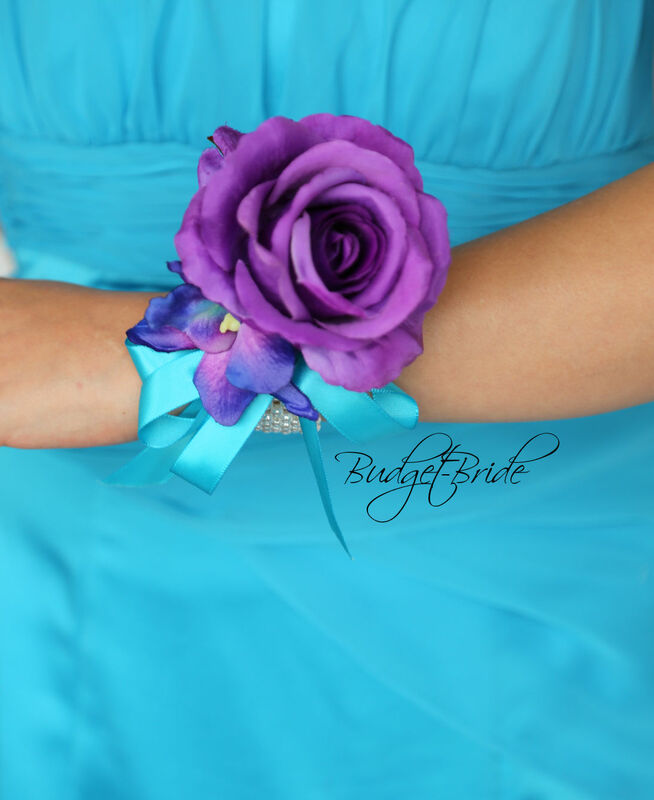 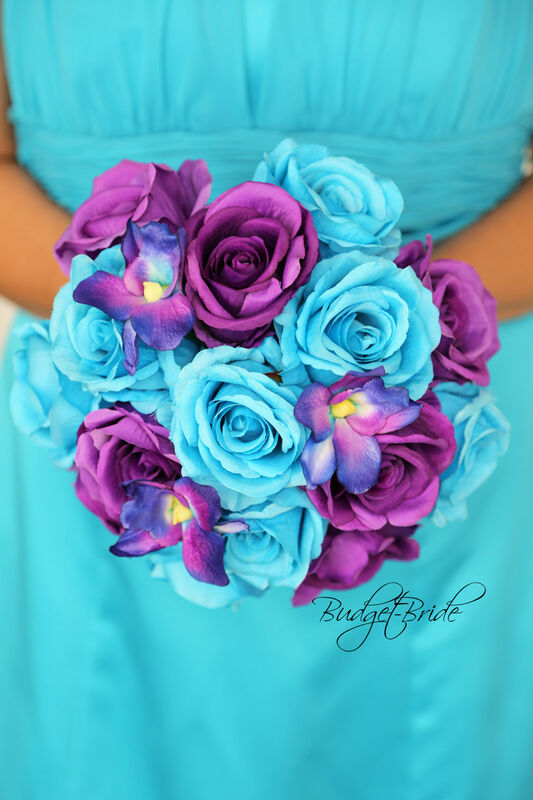 This matching bouquet is an 10 inch hand held bouquet with Malibu and light purple roses accented mermaid orchids. 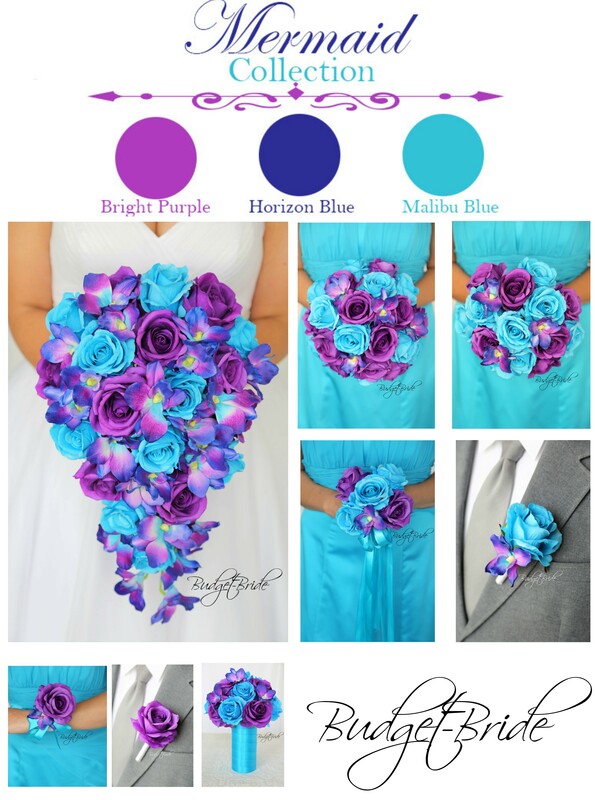 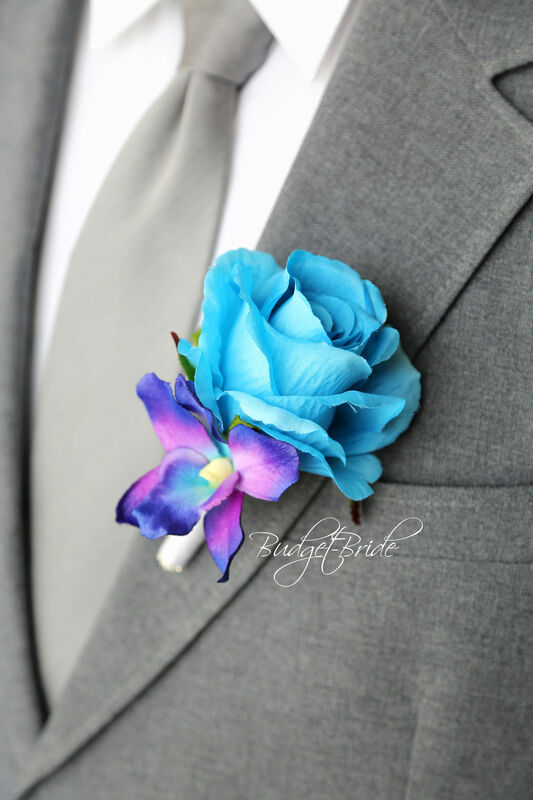 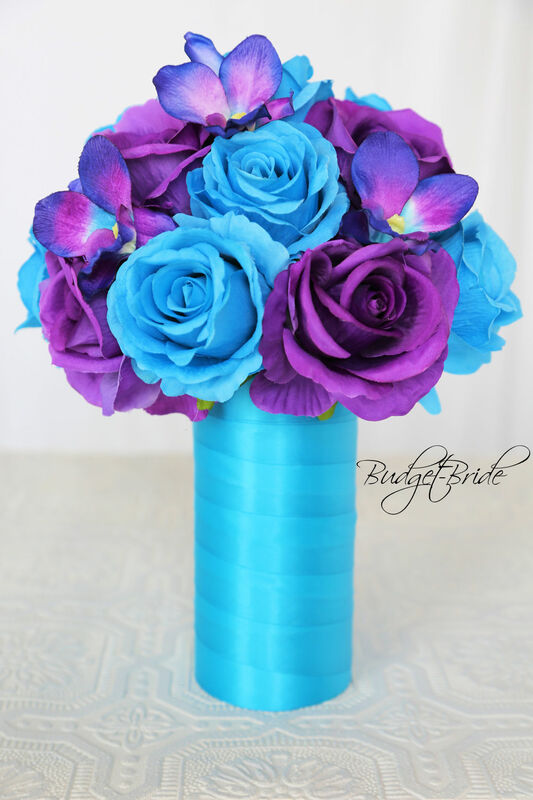 This matching bouquet is a 8 inch bouquet with Malibu and light purple roses accented mermaid orchids. 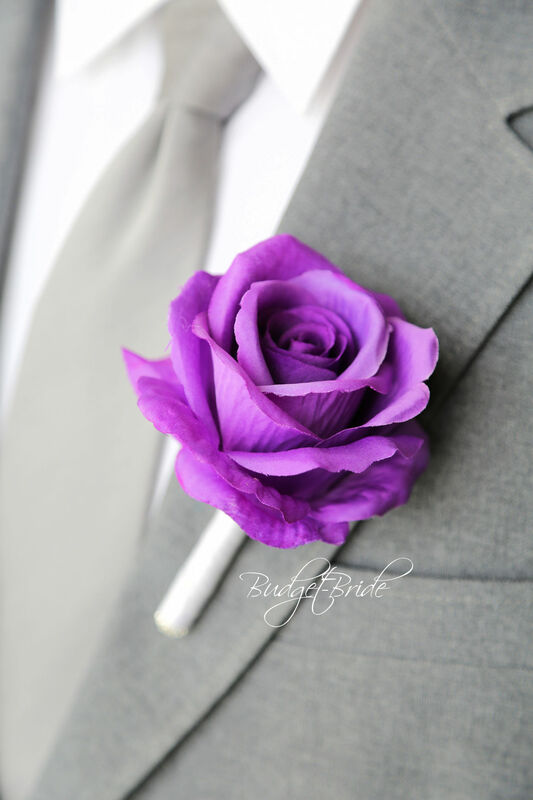 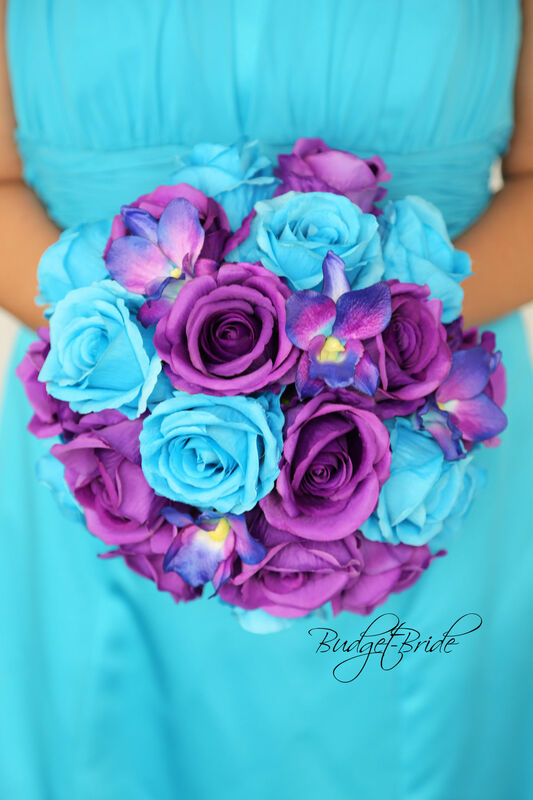 This matching bouquet is a 6 inch bouquet is made with Malibu and light purple roses accented mermaid orchids.